that crystallized on cold surfaces. of the little bottle of tincture of iodine. over a cut to apply the rusty iodine. That stuff would sting like heck. Man, that stuff would sting like heck. 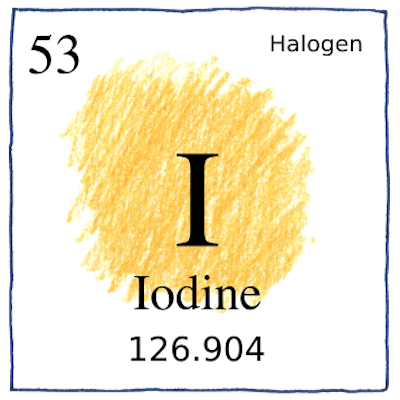 Iodine is named after the color of its violet vapor. Tincture of iodine for topical application (2% in ethanol and water) had more of a rusty color.